Women’s History month in March was a time to reflect on the important role women have played in breaking barriers and opening doors for future generations. The aviation industry alone is home to many trailblazers, and it’s largely because of them that my dream is approaching reality. I’ve wanted to be a pilot since I was a little girl. My mom is a flight attendant, my grandfather was a helicopter engineer and I really liked pushing buttons…it just made sense. Of course, at that age, I didn’t know how few airline pilots were women, or the obstacles so many women faced breaking into male-dominated fields. But no one told me I couldn’t do it. In fact, my biggest challenges were the same as any aspiring pilot’s: getting flying time and paying for it. For those reasons, I got a degree in mechanical engineering instead of pursuing my passion for flight. But my dream never faded. Halfway through college, my mom — also a private pilot — introduced me to an airline captain who then introduced me to a first officer at American Airlines. That group of women changed my life. They paid for my discovery flight, helped me buy books and kept me motivated, putting me in position to take advantage of a timely opportunity. Aviation is a forward-looking industry that stimulates development, innovation and entrepreneurship. It connects people, cultures and businesses across the globe and strengthens socio-economic development worldwide. In keeping pace with the rapid growth of the aviation industry, there is a pressing need to improve efficiency and effectiveness at national, international and global levels. 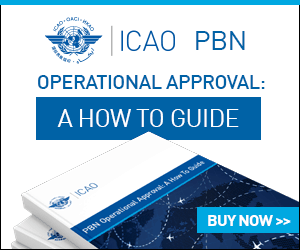 ICAO launched the Next Generation of Aviation Professionals (NGAP) initiative to help ensure that enough qualified and competent aviation professionals would be available to operate, manage and maintain this future international air transport system. We are doing this by both raising awareness of the fantastic opportunities available in aviation, and breaking down barriers to participation. This includes identifying and addressing gender-related factors to ensure that no woman who has the ability and desire is prevented from pursuing a career in our sector. The first-of-its-kind American Airlines Cadet Academy had just launched, offering aspiring pilots the training, mentoring and support necessary to fly for the world’s largest airline, along with a guaranteed interview at one of its regional carriers and a defined career track to the mainline. After a tour of American’s state-of-the-art training facilities and a chance encounter with the captain behind the academy’s creation, I knew I had to apply. Today, I’m a proud member of the academy’s first class. Leaders at American have been nothing but welcoming and encouraging. That first officer I mentioned — she’s now officially my mentor. And in each new class, I see more women signing up for the best job in the world. It’s a new normal and an amazing culture to be a part of. If you’ve ever thought about being a pilot, my advice is to do it. If you don’t, you’ll regret it. 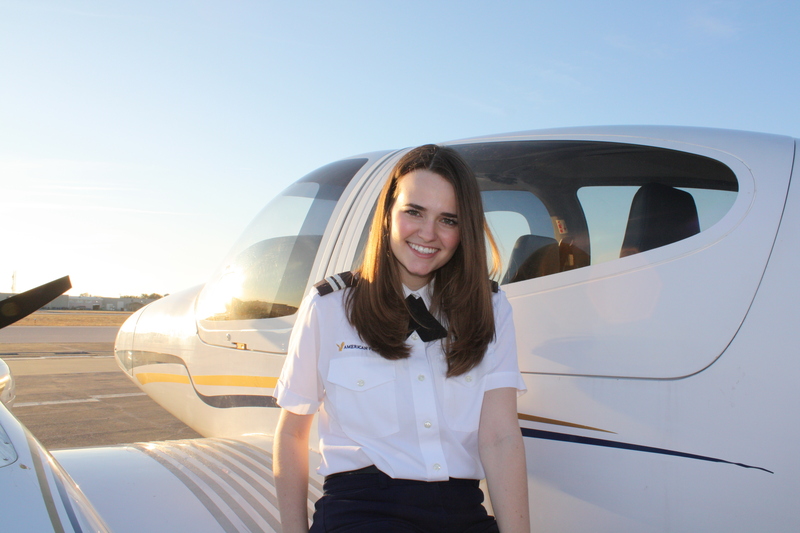 There’s never been a better time to fly, and no better path than the Cadet Academy. I have no doubt I’ll be welcoming you on board a flight in the next couple of years as one of American’s 130,000 team members, and I can’t wait to thank you for flying with us. Every day, American Airlines team members work to make the airline a place where people of all generations, races, ethnicities, genders, sexual orientations, gender identities, disabilities, religious affiliations and backgrounds feel welcome and valued. During Women’s History Month and throughout the year, American is proud to support women and their career journeys by celebrating the contributions they make to the company and to the people they serve every day. Through scholarship programmes, networking opportunities, the Professional Women in Aviation Employee Business Resource Group and more, American has also developed resources to encourage, inspire and assist young girls in pursuing their aviation dreams. To learn more about the American Airlines Cadet Academy, visit their website. You can also visit American Stories to learn more about the great work American’s team members do every day to promote inclusion and diversity, care for colleagues and customers, and support their communities.